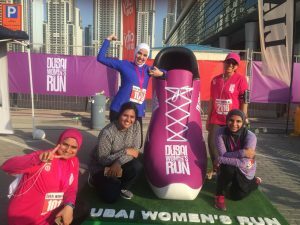 The Dubai Women’s Run held on 17.11.17 was a very special run for me in more ways than one. Firstly, It marked the launch of Nashata in the UAE, a project which I had envisioned with the founder, Eliza, exactly one year ago. Alhamdulillah, it came to fruition with a lot of support and encouragement from family and friends, despite the many bumps and hurdles along the way. Secondly, the event proved to be a huge learning experience for me. Running is truly a metaphor for life – so many life lessons reinforced through my period of training and of course race day. 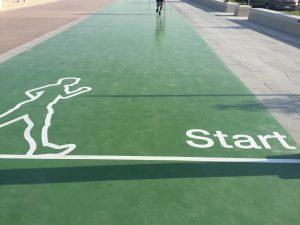 The importance of setting goals –big or small. I am not a runner. Far from it in fact. I had been telling myself that I will run a 5K “some day” for quite some time – until I decided that I needed to set myself a target date. So I signed up for the run,and followed an 8 week training program on a running app. As a mother venturing into a new business, keeping up with the app’s schedule was not always easy – but I tried to maintain some form of discipline and prioritized my time for training as my time for calm and focus. Race day was challenging but I managed to shave a good minute from my previous time. At the end of the day, running is all about effort. You will get uncomfortable. You will want to stop. You will ask yourself many times, “How am I going to make it to the finish line?” You just have to keep moving! Finishing the race becomes so much more about your mindset than your physical ability. I slowed down at several points during the race, but as the time raced towards the 40 minute mark (my previous time), I sprinted to the finish line to finish at 39.06 mins. Yes, every second counts. There will always be records to beat – aim for your personal best! The run was a beautiful confluence of so many women from different backgrounds, fitness levels with different goals. 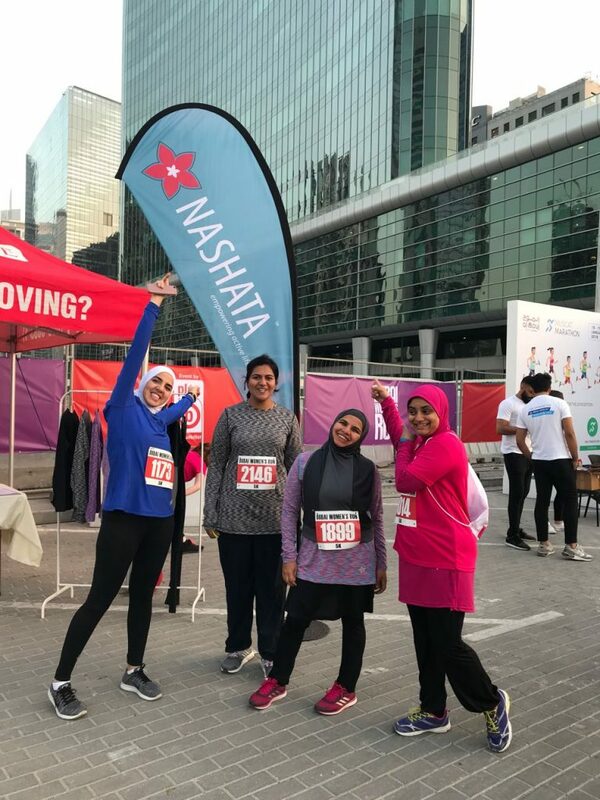 There were mothers running with their daughters, women dressed in Indian saris, hijabs and abayas, all participating at the same event. It challenged me to see beyond my own presumptions. We can carry and celebrate our identities anywhere and everywhere. So here’s to being proactive, setting goals, making no more gccexcuses and constantly striving to bring out the better version of ourselves each day, in sha Allah! So…who’s up for a 10K?